Nestled between the historic Brush Park and Midtown neighborhoods, Grey Ghost Detroit was born from dedicated craftsmen, committed to the art of butchery, refinement of crafting cocktails and unparalleled hospitality. Relaxed, vegan and vegetarian friendly noodle shop that also features curries, rice bowls and a fine selection of sake located in the heart of Corktown. 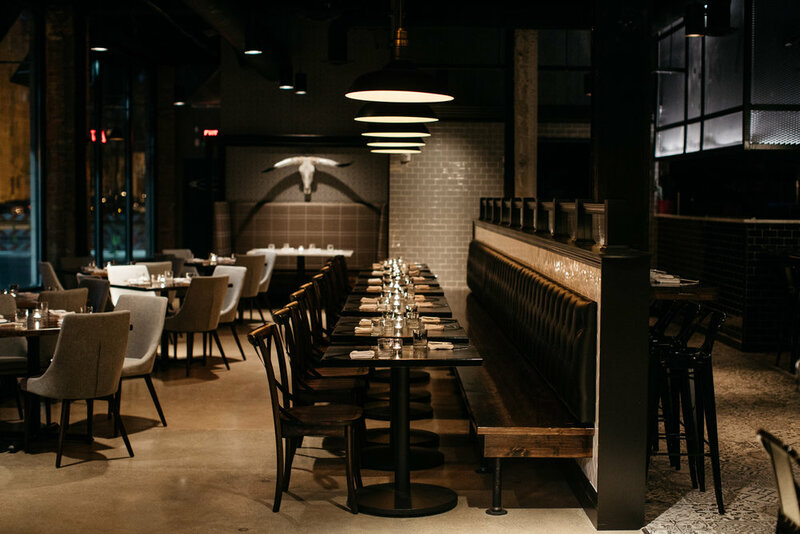 Slow cooked meats paired with hearty sides & a selection of over 30 craft beers on tap in a cozy, rustic space. Busy deli with communal seating that serves up hearty homemade soups, classic deli fare and vegan and vegetarian friendly sandwiches and salads. Coming for breakfast on Saturday? Go early. Cool, casual spot for creative sandwiches filled with house-cured meats & sausages, plus sides and a newly added bar. Locally sourced, seasonal American classics, plus craft cocktails, in sleek minimalist digs. Be sure to check out the mural inside the restaurant by MITM alum, Kevin Lyons. Award-winning, upscale restaurant that prides itself on locally sourced small plates and craft cocktails inspired by the midwest. Spacious, low-key venue featuring a menu of BBQ & soul food, plus live jazz & blues. Be sure to check out karaoke during market hours on Saturday. Diner in the center of eastern market offering up breakfast all day and cheap eats like burgers, salads, and hot dogs in a modest setting. Slider joint with a chill vibe serves bite-sized eats with global flavors & a full bar. Most items are around $3 so you may eat your heart out. Low-key joint offering pub grub, such as classic & stuffed burgers, plus a full bar with draft beer. A Detroit favorite, hidden in Eastern Market. Serving up thin crust pizza and pasta dishes alongside tasty wine and cocktails this Eastern Market spot is a MITM crew mainstay. Dine in or carry-out options available.